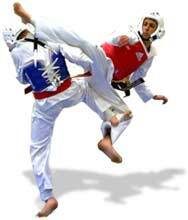 Martial Arts are both sports and combat systems. Fighter.com video community presents clips in 22 CATEGORIES, from all over the world. We also presents FIGHTER NEWS. You can WATCH, UPLOAD and SHARE your clips. In FIGHTER.COM LEXICON you find most of the world’s fighting styles. MAIN FIGHTER STYLES presents 19 disciplines more extensively.